Eugene Germain was born in Movdon, Switzerland, in 1849. He came to New York in 1868, at the age 0f 19, and soon headed West by way of the Isthmus of Panama. For a while, Eugene Germain operated a series of supply stores along the line of construction of the Southern Pacific Railroad in Texas, New Mexico, and Arizona. In 1870, he arrived in Los Angeles, where he first opened a restaurant. Soon afterwards, he opened a grocery and poultry wholesale and retail business, shipping merchandise to Eastern locations. 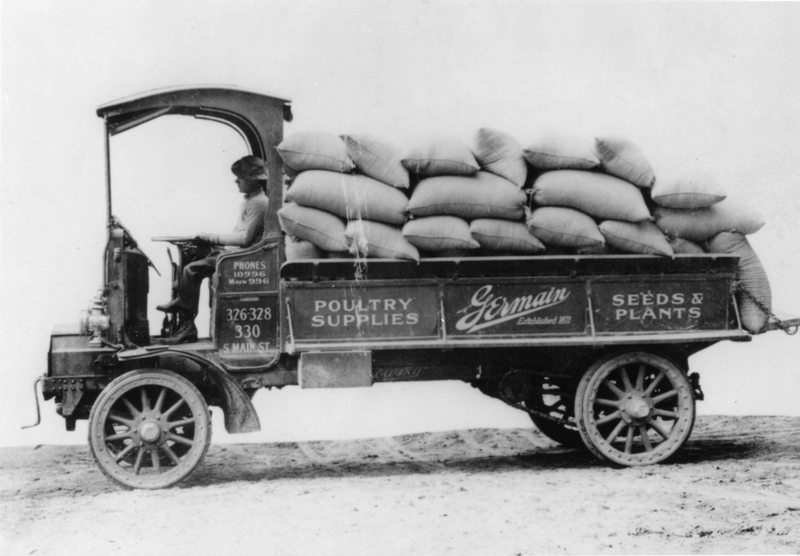 This evolved into the Germain Fruit Co., specializing in seed and nursery stock, and a packing plant. In 1889, the company’s name changed to the Germain Seed & Plant Company. In 1883, Eugene Germain was elected President of the Los Angeles Board of Trade for two terms. He was the first Vice-President of the re-activated Los Angeles Chamber of Commerce. In 1893-1897, President Cleveland appointed Germain as U.S. Counsel to Zurich, Switzerland for a 4-year term. His manger handled the business until he returned. In 1890, Eugene Germain became a member of Masonic Lodge #42 of Los Angeles. He was also a member of the Jonathan Club and the California Club. Germain married Caroline Sievers in 1872. They had 5 children: Edward, Clare, Marc I., Henry, and Lillian. Eugene Germain died in 1908. The company he started in the early 1870’s continued to function with the Germain name well into the 1980’s. 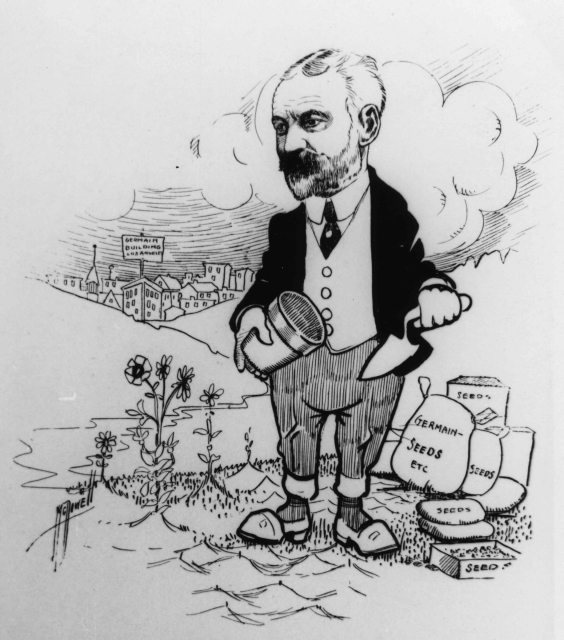 Harriet Ashby, “The Germains of Los Angeles,” Western States Historical Quarterly 2/4. Harriet Ashby, “Eugene and Edward Germain of Los Angeles,” Western States Jewish History 38/3&4.